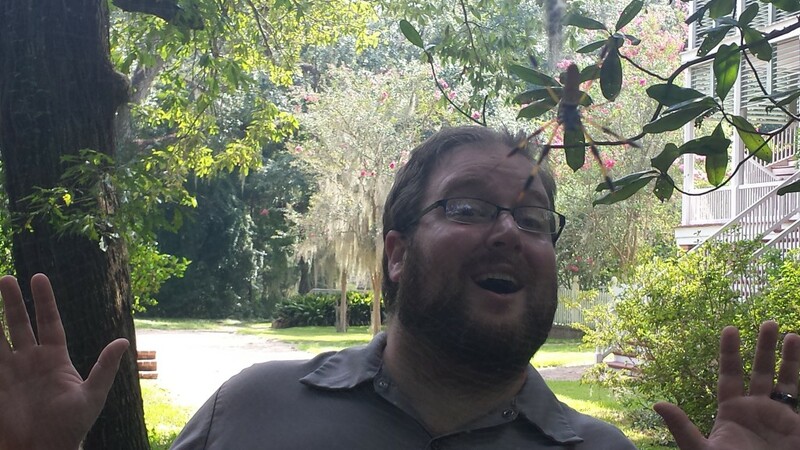 I found the spiders at Oakley Plantation fascinating. After recovering at home four days following brain surgery, I was ready to get out of the house for a day trip. The home where John James Audubon did some of his paintings for Birds of America sounded like a good choice. Mimi and I had visited St. Francisville a couple weeks ago, but didn’t make it to Oakley Plantation, Audubon’s home briefly in 1821. Judging from the web, I think this spider is highly deceptive. 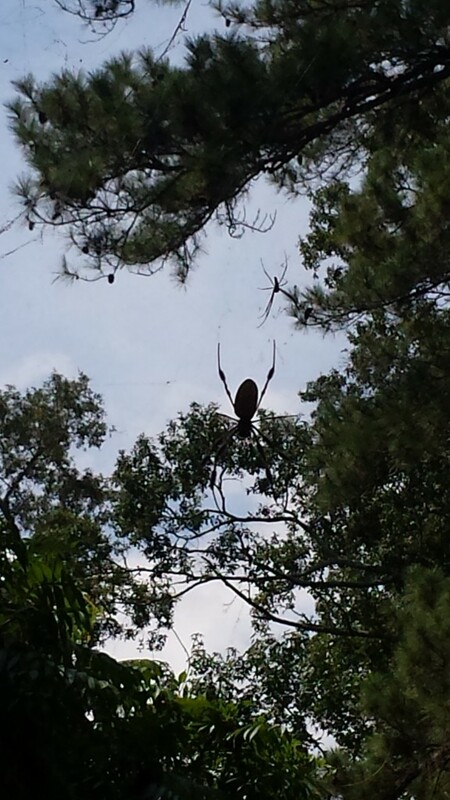 Even from a distance, these spiders were huge. 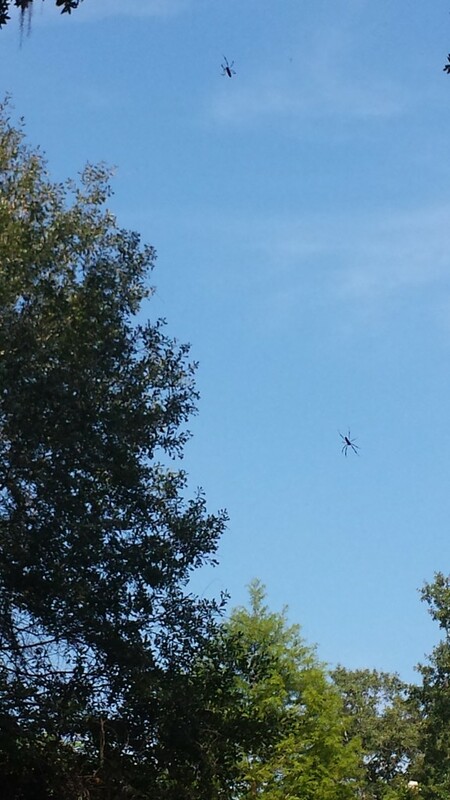 I couldn’t quite catch this spider in silhouette without leaves behind it. 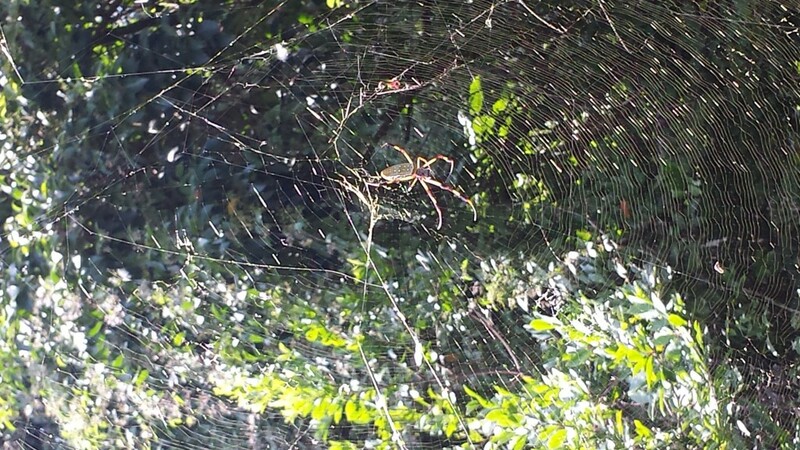 The web limited my maneuvering. But it was nearly as big as Tom’s head. 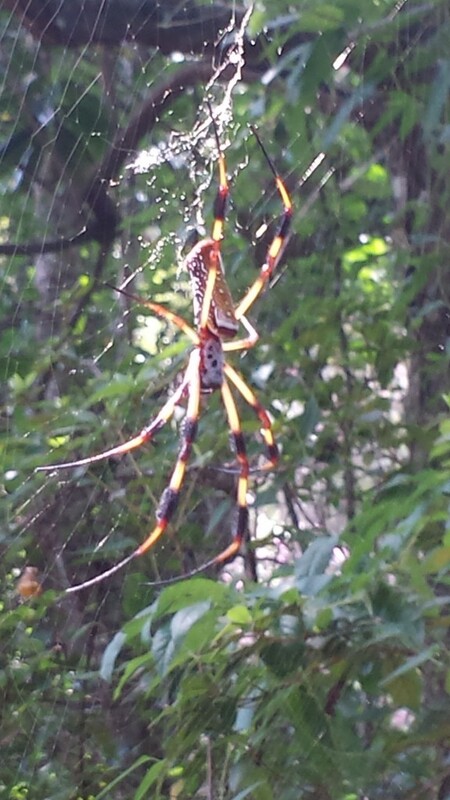 You can see two of its long legs stretched in front of his forehead. 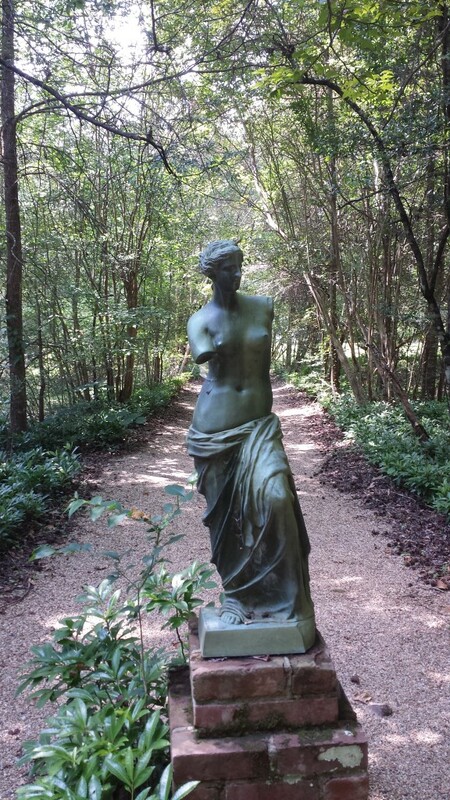 Walkways around the plantation are lovely. 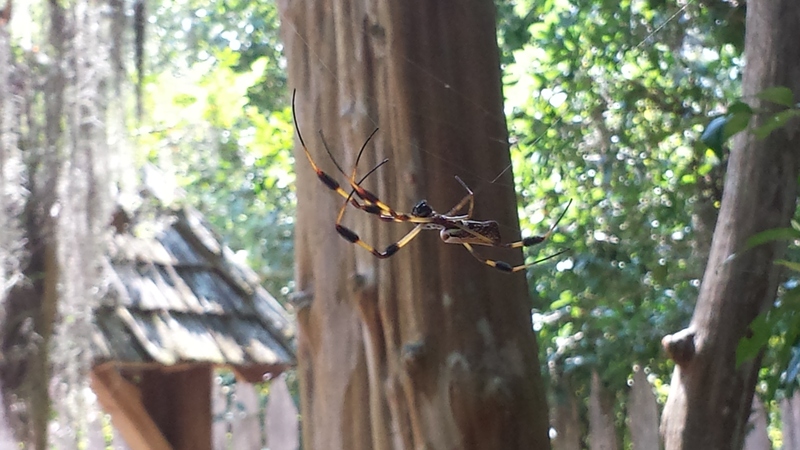 Views with two spiders, such as the one in the foreground here and one farther away behind it, are common at Oakley Plantation. Again and again the spiders demanded my attention.